If you read last week's blog post, then you know we talked about the basics of Save the Dates. 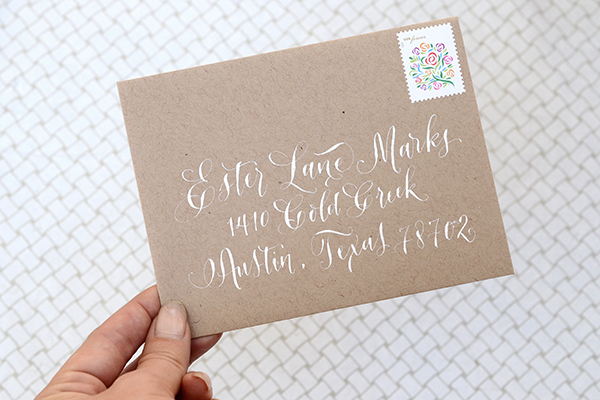 This week, we're taking it a step further -- it's time to get those save the dates addressed and in the mail for your guests! When addressing the save the dates, there is some etiquette that comes into play. 1. Address the guests with their professional titles or by using Mr., Mrs., or Ms.
...or you can go the non-traditional route and just write "The Johnson's" or "Jake and Angie", for example. Don't forget to seal your envelope with a custom envelope seal/sticker. Etsy has a wide variety of options from the couple's name and wedding date to something as simple as "save the date" -- happy planning!